Lambert, Maude-Emmanuelle. "Pacifique Plante". The Canadian Encyclopedia, 26 March 2017, Historica Canada. https://www.thecanadianencyclopedia.ca/en/article/pacifique-plante. Accessed 21 April 2019. Pacifique “Pax” Plante, lawyer and police officer (born 15 July 1907 in Montréal, QC; died 9 August 1976 in Guadalajara, Mexico). Plante became famous for his war on organized crime and corruption in Montreal in the 1940s and 1950s, and is especially known for his contribution to the Caron Inquiry on public morality. Pacifique Plante was the son of Emma Roy and Montréal lawyer Léandre Plante. After becoming a lawyer himself, he went on to become a clerk at Montréal’s municipal court in 1937, where he soon witnessed and denounced many irregularities, such as overlooked procedures, dropped cases without just cause, and favouritism. For several decades, Montréal had been struggling with a serious corruption problem within its police department and even its municipal administration. Since the beginning of the century and especially during the 1920s, Montréal – a port city ­– had benefitted from the prohibition of the sale of alcohol in the United States and other Canadian provinces, gaining a reputation as a free and pleasure-filled city. In fact, as the only large urban centre in North America that was not regulated by a law on prohibition, Montreal gained its very own flourishing Red Light District in the mid-19th century, overflowing with brothels (see Prostitution), gaming houses (see Gambling), black market alcohol vendors and cabarets. The city’s festive reputation led to a direct increase in tourism. Over the years, the police intervened and closed these establishments, but they always reopened a few months later. In January 1944, as the Second World War raged on, the Canadian Army ordered the closure of brothels in order to forbid soldiers from accessing them. A significant number of soldiers (more than 4,000 between 1940 and 1943) had contracted venereal diseases and had to be hospitalized (see Sexually Transmitted Infections). The mayor of Montréal rushed to shut down the “Red Light” – at gunpoint – but as soon as the troops scattered, the neighbourhood returned to its former state, stronger than ever before. In the fall of 1945, Pacifique Plante became the legal advisor to the “morality squad,” a Montréal police brigade that fought organized crime. In the summer of 1946, one event led to his appointment as deputy director to the police department: Harry Davis, Montréal’s “gambling king” was murdered in broad daylight, and before being arrested, his killer revealed the extent of the corruption among public servants and municipal police to a journalist. Public opinion demanded a clean-up of the city. Thus, on 7 August 1946, Pacifique Plante was appointed deputy director responsible for the morality squad. He quickly launched a clean-up campaign against the so-called “commercialized vice.” Increasing the number of raids of brothels and gaming houses, Plante invited journalists and photographers to attend offenders’ arrests, making the businesses’ illicit activities public. Within a few months, his plan worked: the brothels, gaming houses, and illegal alcohol vendors were shut down and emptied out, depriving organized crime of its revenue. The most impressive blow to the system was the arrest of Harry Ship in 1948, who was found guilty on three counts for running a gaming house and was sentenced to six months in prison. Despite his loyal service and popularity with the public, Pax Plante was dismissed in the spring of 1948 by police chief Albert Langlois, for reasons that would later be judged pointless. 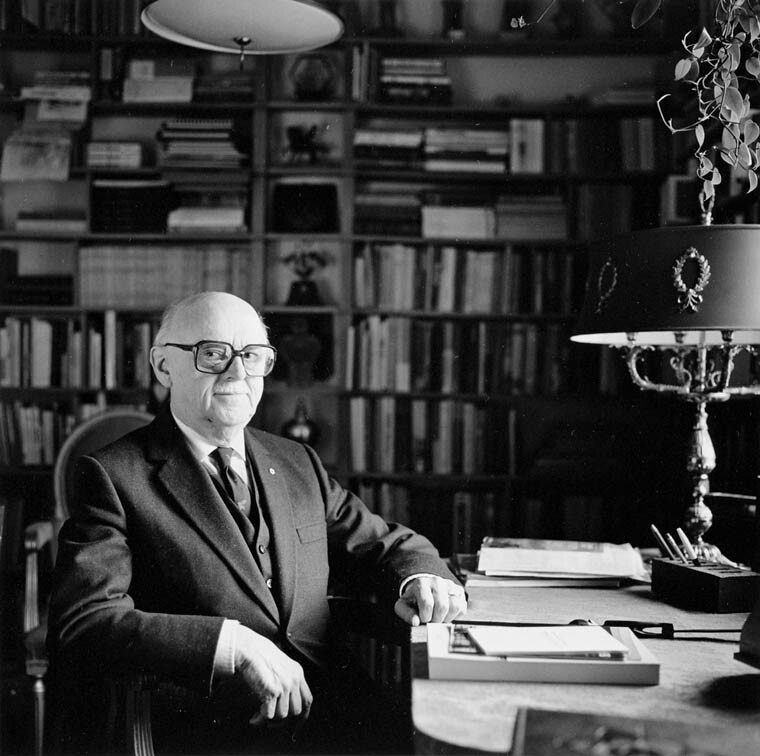 In response to his dismissal, Plante published about 60 articles in Le Devoirwith the help of journalist Gérard Pelletier, between 28 November 1949 and 18 February 1950. 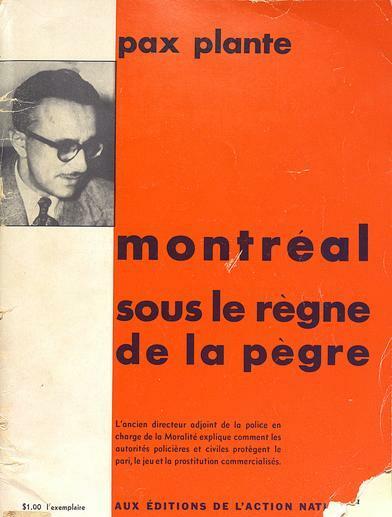 These articles, entitled Montréal sous le règne de la pègre (Montréal under the reign of the gangsters), collected and published by Éditions de l’Action nationale, shed a light on the system of protection that had developed throughout the years within the police department. These revelations led to a commission of inquiry regarding police corruption in Montréal. 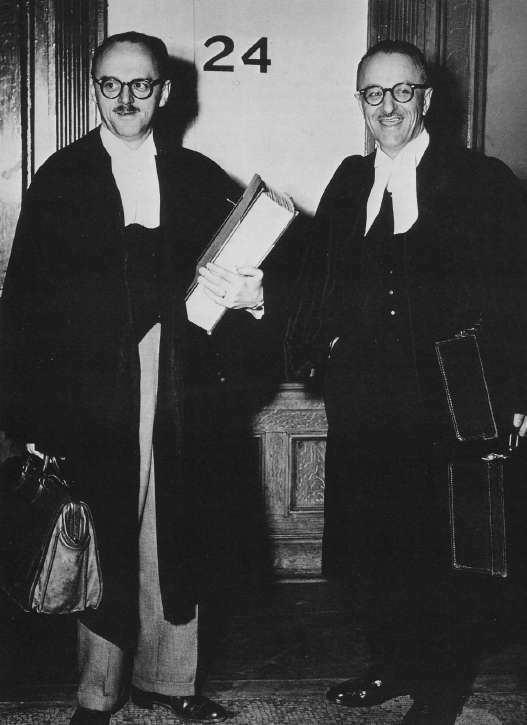 On 11 May 1950 at the Superior Court, Plante, assisted by a young lawyer named Jean Drapeau, officially filed a petition containing over 1,000 pages and signed by 74 citizens (from within the Public Morality Committee formed in March 1950) demanding an inquiry. 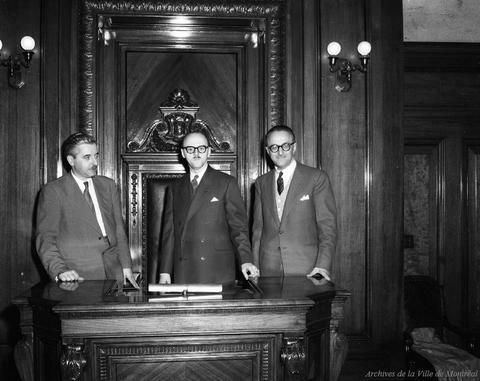 The commission, presided over by Judge François Caron, took place over 31 months, from 11 September 1950 to 3 April 1953. Plante’s proof was solid. He and Drapeau worked tirelessly to ensure justice for the actions of the 66 people included in the charge sheet. Up to then, the Caron Inquiry, as it would become commonly known, was the most significant and expensive (at an estimated cost of $500,000) of the inquiries regarding vice and corruption in Montréal. It saw 373 witnesses and over 1,000 pieces of evidence. After several months of deliberation, Judge Caron tabled his report on 8 October 1954. Immediately after, police chief Albert Langlois was dismissed and about 20 officers were suspended. While the Caron Inquiry enabled Plante to establish his image as an incorruptible upholder of the law, it also introduced another figure to the public, who would play a major role in Montréal’s history over the next 30 years. In fact, the same day the report was tabled, lawyer Jean Drapeau announced his candidacy for mayor in the coming municipal election (see city politics). Supported by the Public Morality Committee, known as the Civic Action League as of January 1951, Drapeau benefitted from the “Caron effect” and, with his city “clean-up” program, was elected mayor of Montréal on 25 October 1954. One of his first decisions was to name Pacifique Plante interim police chief, a position Plante held until 1957, when LiberalsenatorSarto Fournier was elected mayor of Montréal. Because of death threats, Pax Plante left Québec in 1958 and settled in Mexico, where he lived discreetly, returning to Montréal for only a few visits before his death in 1977. His profound knowledge of organized crime made him a popular commentator among the media, which consulted him on occasion, particularly upon the tabling of the Prévost Commission’s report on organized crime in 1969. A few years before Plante’s death, Alain Stanké and Jean-Louis Morgan published Pax, Lutte à finir avec la pègre,the result of a long interview with the book’s subject about the links between organized crime, administration and political power. Plante’s career also inspired several works of fiction, including a television series written by Lise Payette entitled Montréal ville ouverte. Airing for the first time in the winter of 1992, it tells the story of the troubles of two lawyers (Plante and Drapeau), who waged war on the corruption within Montréal’s administration in the early 1950s. In 1996, Canadian author William Weintraub allowed anglophone readers to discover or rediscover the story of Pax Plante, with his work City Unique. For many Canadians, and particularly for Quebecers, Plante is a symbol of integrity – the incorruptible police officer and lawyer who, against all odds, reinstated order in one of the most corrupt municipal administrations in the country. It was therefore unsurprising to see, during the heat of the Commission of Inquiry on the Awarding and Management of Public Contracts in the Construction Industry (more commonly known as the Charbonneau Commission) in Québec, Le Devoir publish an article entitled Faut-il un nouveau “Pax” Plante? William Weintraub, City Unique: Montreal Days and Nights in the 1940s and ’50s (1996). Suzanne Morton, At Odds: Gambling and Canadians, 1919-1969 (2003).